Hi Diddly Dee Dee, an actor’s life for me! Multiple Personalities in Jekyll and Hyde… who’d have thought it? That's right. That's me jumping for joy. I am jumping for joy right now folks, Jumping – For – Joy! I’m currently in rehearsals for Jekyll and Hyde, which opens in Birmingham on the 18th November, for a short run, before transferring to London in 2016. During the Birmingham run I shall be playing Rose, an East End club singer, who strays into the path of the vicious Hyde. However, for the London run, I am thrilled to announce that – not only will I reprise the role of Rose – but I will also alternate with the role of Constance (the well educated fiancée of Henry Jekyll), playing Constance twice a week and Rose twice a week. These two characters are the antithesis of each other, so I’m very much looking forward to the challenge of switching between them. And no, the irony of playing two polar opposite roles in a production of Jekyll and Hyde is not lost on me either…! I will publish full details of my performance dates, as soon as I have my completed schedule. So, watch this space! After touring up and down the UK with Bless Em All, Mamma Mia, It’s ABBA! and The Cat Pack it’s time to tidy away my tea dresses, file away my flares and tuck my trilby back in the cupboard ready to start rehearsals for Jekyll and Hyde. Jekyll and Hyde will perform a short run at Birmingham in November and then transfer to London in January. Set in the 1930s this adaptation is close to the true spirit of the book and features a great cast, some of whom I have had the privilege to work with before. Mamma Mia! How is it September Already? I’m dashing this off quickly in a break from rehearsals for my next show, which opens next week! Once again I shall be back on tour, performing not one, not two but three shows in rep. As before I shall continue to perform Bless Em All and The Cat Pack but for Autumn I shall be adding an Abba show into the mix. If you’re interested in booking one (or more!) of these shows then please contact Cat’s Pyjamas via their website. Click HERE to be whisked away to their site. This tour will run until the end of October when I start rehearsals for Jekyll and Hyde in Birmingham. More on that another time but I’m particularly happy to be part of this production as it is is set in the 1930s and I am in love with the 30s fashion! The Cat Pack and Beyond! Following on from the Abba show, I’ll be performing in another show in late Autumn… More on that later! The weather outside might be grey and gloomy but despite the miserable weather it’s been a cheerful start to the year for me. On a personal note I am now the proud joint owner of my first house, so I can look forward to 30 years of mortgage payments! Work-wise, I have been busy with Murder Incorporated, playing a variety of reprehensible characters in Murder Mysteries across the Midlands. I’m starting to understand how Poirot must have felt, everytime I turn up at a swanky function someone seems to get murdered….! For anyone interested in finding out more you can visit their website by clicking HERE. Secondly, I am pleased the announce that as of March I will be starting rehearsals for Turn of the Screw at the Blue Orange in Birmingham in which I shall be playing the Governess. Details of the show can be found at the Blue Orange Website, simply click HERE to be spirited away! Based on the chilling novel by Henry James, the show combines live action with puppeteering to bring this Gothic tale to the stage. The rehearsal process will involve a lot of devising, so I will try to document the process. After thigh slapping, clowning and slapstick it will be great to get back to grips with a text that has deep wells of subtext to work from, so I look forward to updating you all on the journey! So Christmas is fast approaching and at this time of year I would normally be preparing to go into pantomime rehearsal, however not so this year! I am taking a break to do something different. Pantomime is in my blood and it wouldn’t quite be Christmas without it, so I’m not straying too far from the genre but rather, to enjoy a little break from routine, I will be taking a one woman Pantomime and Christmas show out on the road! The tour will be across the Midlands and South West, focusing on some rural areas; where theatre is not so common place. Rural is fine by me though, as a country girl I love the countryside! (See photo!). Additionally, this will be my first foray into the world of one woman touring. I have performed in one off solo shows before but this will be my first experience of an extensive tour on my tod! As a result there is a lot of material to learn, including some tricksy Sondheim, so the less time I spend writing and the more time I spend learning the better really! 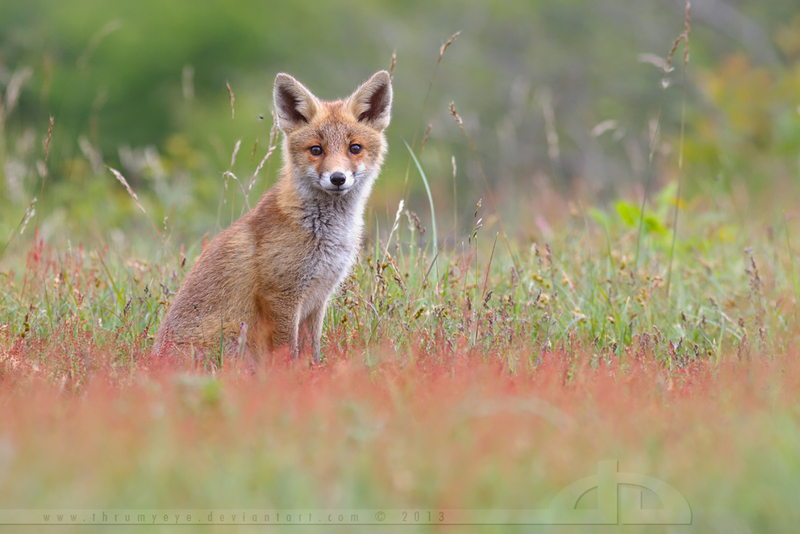 To see a lovely picture of a fox in a field click HERE or HERE. A fleeting update from Oakworth! This is a slightly different post to my normal news items, this is instead a snapshot into the unusual life of an actress! I’m a few days into my Railway Children rehearsals (shows start on Monday) and – as it’s everyone’s day off today and I wanted to run the show to keep it fresh in my brain – I decided to do a costume run by myself in the bedroom at my accommodation. I had a DVD recording of the show playing in the background whilst I ran through the lines, blocking, costumes changes and technical cues (at an imaginary sound desk, of course) this all seemed perfectly normal to me until my fellow cast members knocked on my door to see what I was doing…. As I let them in (dressed as a six year old girl) I realised I was essentially doing a ‘dress along with the Railway Children’…. Well, the curtain has fallen on The 39 Steps and what a run it was! The time swept by faster than a speeding bullet (or the Highland Express) and now all the costumes, props and wigs have been packed away. As always, this is a sad time but looking forward to the next show is a great way of dispelling post show blues. From one train to another, I am back riding the rails again, only this time instead of steaming to Scotland, I will be chuffing to Oakworth! It is now only a matter of days until I start my journey as a child of The Three Chimney’s cottage, in a touring version of E Nesbit’s The Railway Children. So, as I put one script back on the shelf, it’s time to pull out another and start learning! All Aboard! Last trains to the Highlands! Well, as I write there are only 3 performances of The 39 Steps left and it’s been a really cracking run. A fantastic script, a smart director, a talented cast and a lovely venue make for a very enjoyable production. The audience feedback has been wonderful and it makes all the handcuff bruises seem worthwhile! Below is a production still, showing Hannay and Pamela at the McGarrigle hotel, enjoy!